– a question that people ask me all the time, people working from within the industry. It’s funny that so many still don’t know this conference in its 8th year now. Time to make a change. The gamescom congress (23 August in Cologne, Congress Center North of koelnmesse) is one of the best video game conferences at all. Why? Well, of course this is a very subjective matter. There are many developer’s conferences. gamescon congress is different to all of them. There are the big ones like GDC and Casual Connect. In Germany we’ve got Quo Vadis in Berlin, devcom in Cologne or the Germandevdays in Frankfurt. Respawn became part of the devcom this year. Others like Next Level Conference in Düsseldorf and Play in Hamburg have a strong connection to video game culture / education. But they’re unlike the gamescom congress. Games are mainstream. It’s a terrible phrase, but it explains the many angles on it and the weight of the medium. With the support of the mothership gamescom, the embedded congress is able to reflect on the true social impact of video games: gamified manufacturing. The debate about games in schools. Gamers as voters. How games touch isms and how they’re turned over by them. What the rise of eSports means to physical sports. How games contribute to modern storytelling. Youth protection. Norms and European legislation. Ontology. Speakers come from different directions. Teachers, advertisers and marketers, representatives of car manufacturers, the music industry and strategists of communication companies. Even philosophers – and many others. Take a look for yourself at more than 65 speakers. 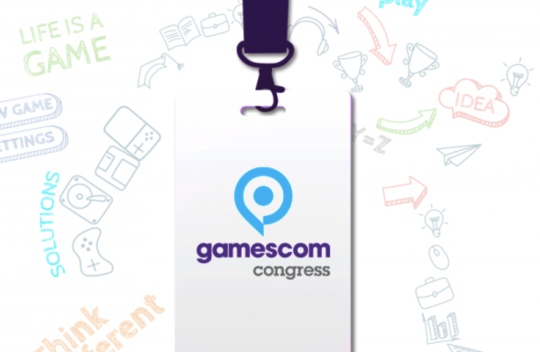 With five dedicated tracks, covering education, business, gamification, legal and a core topic called “life”, gamescom congress is truly interdisciplinary. Latter one includes exciting stories and persons who contribute to the congress, but don’t necessarily fit into the prior categories. You will find something interesting for sure, regardless why you come and where from (there are sessions in English and German). Booster Space Program Director Tim Rittmann makes the gamescom congress program on behalf of the BIU. That’s the acronym for “Bundesverband Interaktive Unterhaltungssoftware”, the association of Germany’s video game industry. He’s responsible for content and choice of speakers. That’s the reason we’re also a little biased. If you’re curious now, check out the website. Buy a ticket, whether you’re a trade visitor or privately interested.